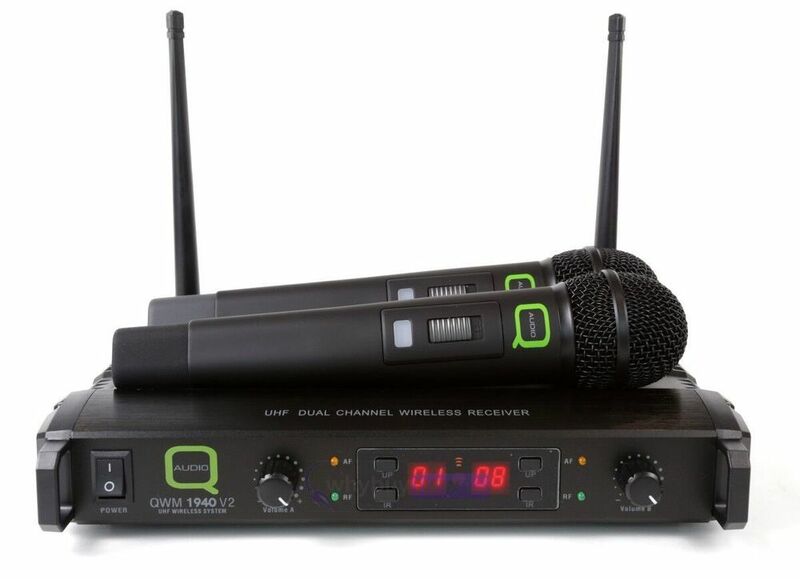 The Q-Audio QWM 1940 V2 HH is a professional 16 channel UHF wireless microphone system that comes with two handheld microphones and a multi-channel receiver. 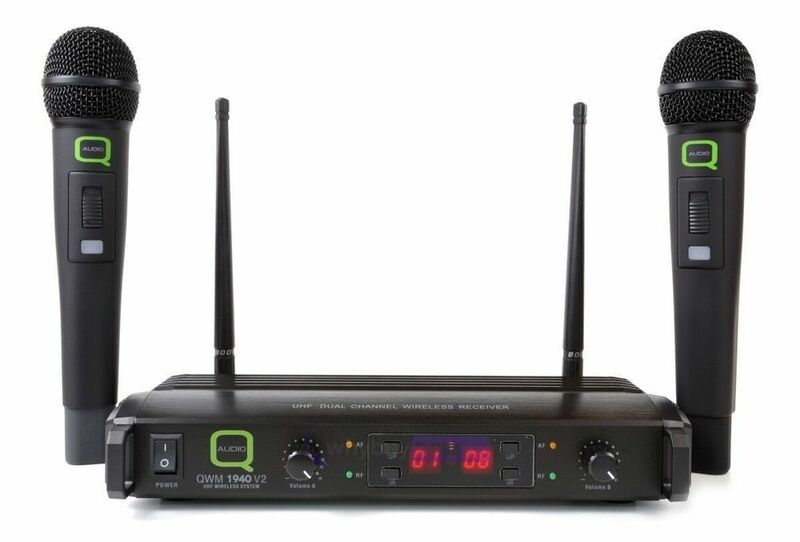 The Q-Audio QWM 1940 V2 can be connected to your DJ or PA setup using the balanced XLR outputs or unbalanced 1/4" jack output. 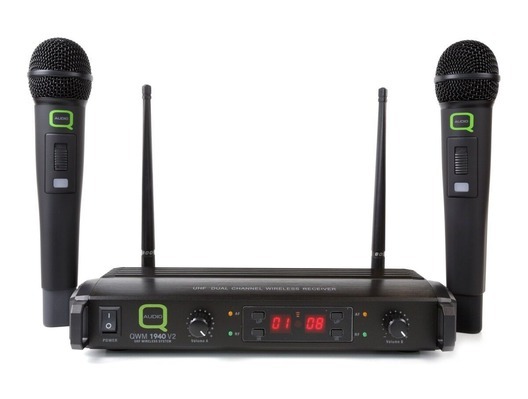 Each of the supplied microphones has a range of up to 50 metres, making this system the ideal choice for karaoke, DJs, presentations, speeches and more.